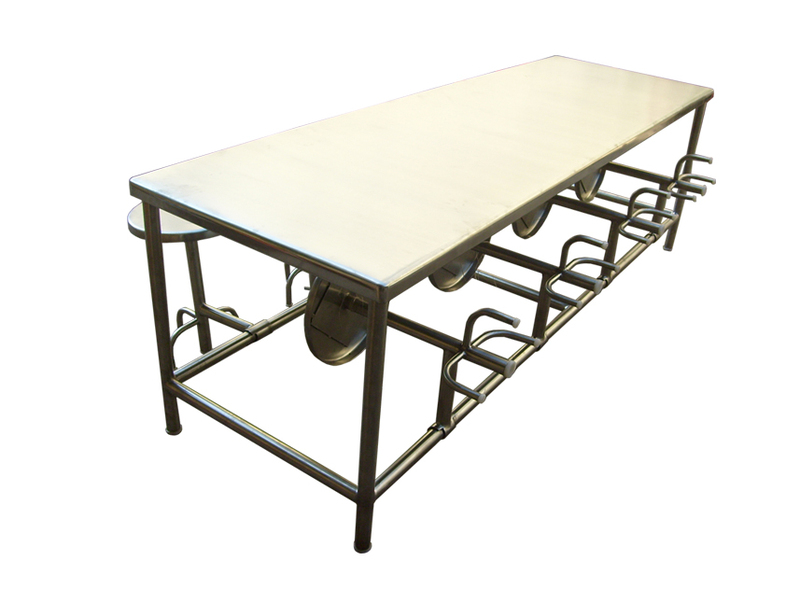 SANITT is the leading manufacturer, exporter and supplier of Canteen Table or stainless steel canteen table which are widely used in commercial canteens in pharmaceutical, chemical and food Industries. These Canteen Tables are made up of good & strong quality material which gives high reliability, comfortable designs, long durability . These Canteen Tables are also available in multi-seater as per requirement. Material : Stainless Steel 304/316 quality(Matt/Mirror finish). Size : Available with 4 seater,6 seater & 8 seater. • Heavy duty stainless steel table top.